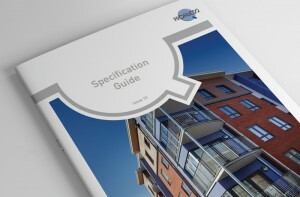 A new specification and technical guide is now available from Profile 22. The 48 page reference book and accompanying CD are a valuable index for architects and specifiers when specifying Profile 22 PVC-U systems. The new edition gives insight into the company’s new products, technical updates, accreditations and services, and includes the latest addition to the range, the much-heralded fully reversible window. This new product is part of a much larger offering from Profile 22, one which has evolved over the past few years, as Wendy Fenney, Profile 22 commercial brand manager explained: “The latest specification guide details all that is new at Profile 22, including updates and amendments in compliance and legal requirements. It also addresses in-house improvements and developments including our colour options and our attainment of BES: 6001, the standard for the responsible sourcing of construction products. “Architects and specifiers need to know that products are fully compliant and that the company behind them works to an ethical and recognised code of conduct; the specification guide communicates this in a consistent and straightforward manner. Profile 22 products are also specified on the NBS (National Building Specification) Plus website, which is part of the Royal Institute of British Architects (RIBA). The website is a sourcing tool that helps architects and specifiers develop a specific brief, it will then provide the appropriate product manufacturers details to fulfil the project.